For a project we needed to read out our PC-222 multimeter. 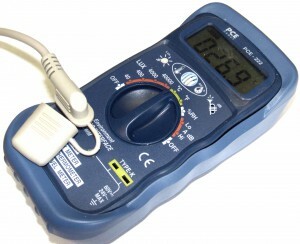 It supports RS-232, but the protocol is not documented at all and the software is proprietary. After a little research on the web, we found some information in a comment on Amazon. With this and a little trial–and–error we found out how it works. 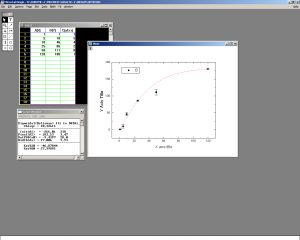 This entry was posted in Analytical chemistry, Instruments, Software, Tutorial and tagged Advanced, HowTo, instrument, Software, Tutorial on 25. July 2014 by Sven Kochmann. This entry was posted in General, Software and tagged Introduction, Peer-review, SciRev, Software on 4. April 2014 by Sven Kochmann. Last friday, we needed an old 3.5″ floppy disk to backup an old system we wanted to replace. So, I was searching our offices and labs, and found an very old (but working) disk. To my surprise, this disk contained a very old version of Origin, viz. 2.74 from 1991! It was packed in an old archive type (ARJ) to fit onto the disk (unpacked: 2.62 MB!). It still works on my Windows XP machine. Of course, modern features such as project managment and context menus are missing. However, it also possesses features, which the current version lacks: fast start, no annoying copy protection, and a clear and simple GUI. Below, you can see a screenshot of it. Figure 1. Screenshot of Origin 2.74. Note the clear and simple GUI. I wonder at which point the development created this huge multi-gigabyte monster of today? This entry was posted in Analytical chemistry, Software and tagged Fun, Origin, Software on 17. March 2014 by Sven Kochmann. QtiPlot is a cross platform data analysis and scientific visualisation solution  similar to Origin . The program is developed by Ion Vasilief, who also developed some other nice tools. 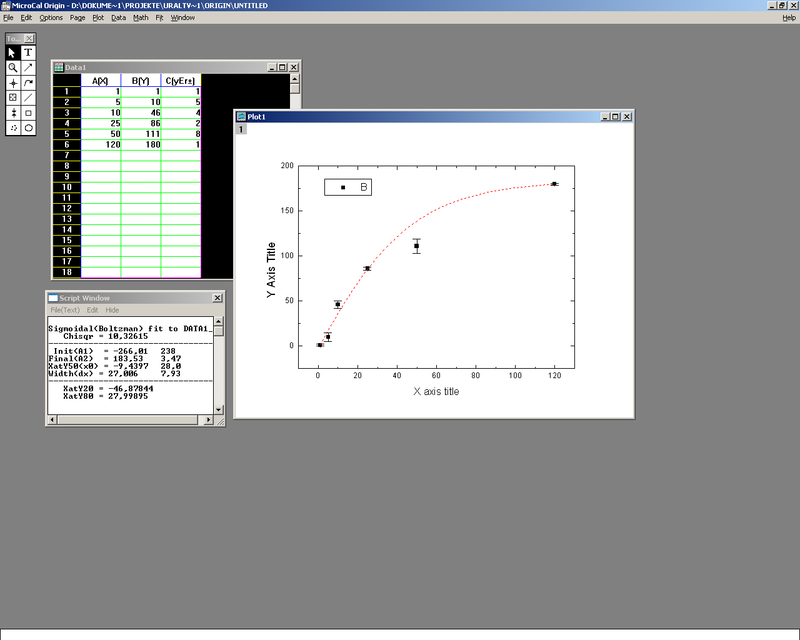 This entry was posted in Analytical chemistry, Software and tagged Introduction, QtiPlot, Software on 11. March 2014 by Sven Kochmann. Last week, I posted an article about sigmoid functions and how to use them. Nevertheless, it is hard to guess the parameters for a given problem. So, people use software such as Origin  or QtiPlot to fit. Personally, I use Origin/QtiPlot only for plotting and Excel/OO–Calc for evaluation/calculation, because both programs are much more comfortable and powerful. However, both lack the possibility to fit sigmoid functions, automatically. It is possible to do such fits for nearly any function using the solver, though, but only a few people I’ve met knew how to do this or that it is even possible. But, I think the solver is a very handy feature and, therefore, I want to give here a short introduction into using it for fitting a sigmoid function to a set of data. This entry was posted in Analytical chemistry, Math, Software, Tutorial and tagged Advanced, Calc, Excel, Function, HowTo, Math, OpenOffice, Sigmoid, Software, Tutorial on 7. March 2014 by Sven Kochmann.